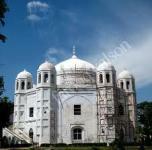 Anarkali Tomb is located on area of Punjab Secretariat in Lahore and now houses the office of vital records Punjab. Previously, it was transformed into a Christian church by the British invasion. It's a beautiful garden and near to Anarkali Bazar (market). 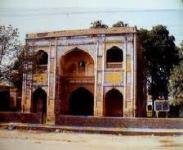 Many people say Anarkali tomb is here which was buried live on order of Mughal emperor Akbar in two walls. Hiran Minar is a famous place located on distance of 43km northwest from Lahore and 9km from Sheikhupura. It's a beautiful 100 foot high Tower named as Hiran Minar means (Deer Tower). The structure consists on large water tank with pavilion which is now main entrance. This minar (tower) was built by Emperor Jahangir in 1606 for a beloved antelope. 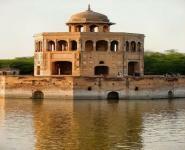 Hiran Minar is also called a royal hunting ground. Many people daily visit this place for enjoying and boating. Jehangir´s Tomb is a famous place where the grave and the gardens surrounding of the Mughal emperor Jahangir (1605-1627) in Shahdara in the 1870's. It's a beautiful place which built as a mugal garden on right bank of the Ravi River. Jehangir´s Tomb is in one of the greatest Architectural Projects of Pakistan. The red sandstone is used in construction of this tomb. Anyone who visit Lahore city must see this beautiful place, there interior walls are covered with colorful murals floral mausoleum. Lahore Art Gallery is placed at Alhamra Cultural Complex in Lahore. It's a center place having true spirit of art and culture. It's famous among tourist around the country and art lovers around the world. They having an amphitheater flooded Punjab arts and crafts Museum. 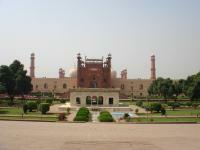 Lahore Art Gallery is also famous for arts and cultural events or performing arts classes. Lahore Museum is located on Mall Road and it was started in 1894. 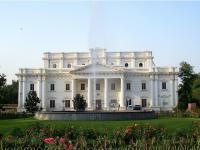 It's one of the most famous museums in South Asia because of the immensity of his compilation. The museum houses the Indus civilization, Mohenjo-Daro and Harappa monuments. The components are ceramics, jewelry, weapons, and textiles. Lahore Museum is also conservative Mughal and Sikh rule and fragments of the period that led to the partition. 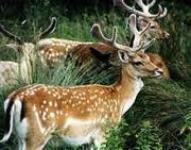 Lahore Zoo was recognized in 1872. It's located on the Mall road Lahore it’s very popular in public, who often bring their children to enjoy the view of various animals. Its most famous resident is the elephant "Suzi". 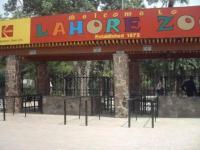 Lahore zoo is biggest zoo of country it’s the main center of attention for thousands of kids living in Lahore and in different cites Pakistan. 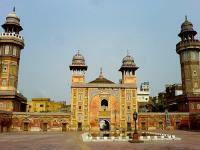 Wazir Khan Masjid (Mosque) is a beautiful famous place for its decoration and tile work. This masjid (mosque) was built in 1634 by Hakim Ali-ud-din also known as Wazir Khan. This mosque was created with traditional Mughal floral design and their material is tile-like brick. It's having great paintings inside and outside of majid (mosque), there minar(tower) height is about 100 feet. There are pigeons flying over the Masjid Wazir Khan which gives a great look. Minar-e-Pakistan is a famous placed located in Iqbal Park Lahore, Pakistan. It's created in memorial of the Pakistan Resolution. The minaret shows a combination of Mughal and modern architecture. Minar-e-Pakistan was built where in March 23, 1940 Pakistan Resolutions was passed by Muslim League. This was the first official statement giving for establish a separate homeland for Muslims living in Southeast Asia. It attracts all people living in Pakistan, as well as many people come around the Lahore city with their children’s and history students. Quaid-e-Azam library was established in 1862, it’s located on the most famous gardens of Lahore. It was created by britishers and given a name as "Lawrance Gardens", but now their name is Bagh-e-Jinnah (Jinnah's Garden) this named was given after creation of Pakistan. Quaid-e-Azam library is the biggest public library in Pakistan and their opening timing is 8am to 8pm. Shalimar Garden is situated on 3km drive from walled city on Grand Trunk Road, Lahore, Pakistan. It’s a beautiful place created on acres of area for enjoyment and relaxation. Emperor Jehangir built this beautiful place for his wife Nur Jehan, thus showing their love forever and remembrance for future lovers. The garden name was "Shalimar" which means the purest of human pleasures. The gardens are an excellent place to avoid the noise of hassle bustle of Lahore city. 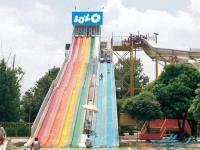 Sozo Water Park is situated on Canal Bank near Jallo Park, Lahore, Pakistan. The water park is prepared with all modern services and facilities for thousands of people come yearly. There were a lot of beautiful parks in Lahore but Sozo Water Park added a lot of the beauty in Lahore. It was a great amusement park for visitors around the country and for locals living in Lahore. The park is created on area of approximately 25 acres having outdoor swimming pools, water slides and rides. Wagah Border is located on Grand Trunk Road which join the Amritsar, India and Lahore, Pakistan. It's a well known place all over Pakistan. Wagah is name of village which was divided in 1947 after partition. Today half part is in India and half is in Pakistan. Many people daily visit Wagah Border to watch soldiers parade and flag lowering ceremony on every evening between border security forces of India and Pakistan. Wagah Border ceremony having great heart touching moments and increase heart beats of everyone with love for their country.